School regularly provides information to the local press about events and achievements within school. Pupils and staff at Our Lady & St Oswald’s Catholic School began their fundraising for a defibrillator by having a Christmas Jumper Day recently. This, combined with the money raised at the fundraising stall manned by local SADs representative Mrs Ann Wilson, Councillor Vince Hunt and School Governor Mrs Maeve Gambrell meant over £77 was raised. It is planned to have another fundraising day next year so that the school is able to have a defibrillator installed on the premises, and staff trained to use the equipment. 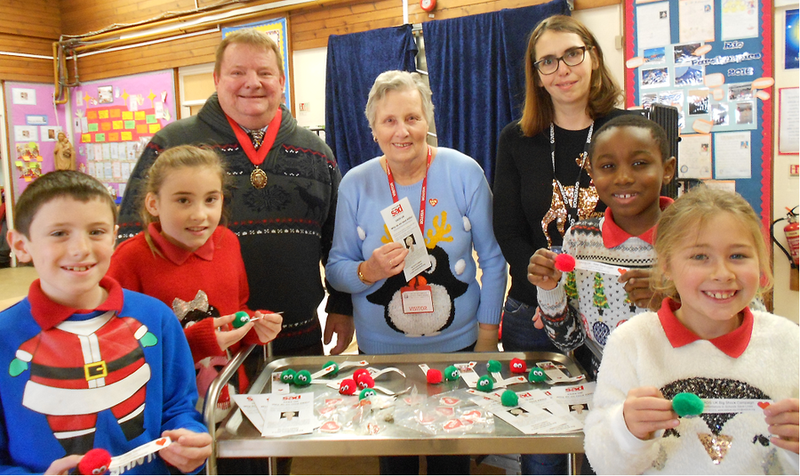 Our photograph shows Alex Probert, Holly Ryan Rowe, Jeslie Nang-Bayi and Autumn Roberts visiting the fundraising stall being manned by Cllr Vince Hunt, Mrs Ann Wilson and School Governor Mrs Maeve Gambrell. Our Lady & St Oswald’s Catholic Primary School are celebrating being the top school in Oswestry in the latest Primary School League Tables published today. These results are based on the results the results of the summer’s national curriculum tests. Year 6 pupils at Our Lady and St Oswald’s Catholic Primary School joined other fundraisers across the country on Friday when they organised a Coffee Morning in aid of Macmillan. Alongside the coffees and teas, visitors could choose from the many cakes that parents and members of the school’s community had donated. The school hall was bustling for most of the morning and to date the children have raised £258.56. 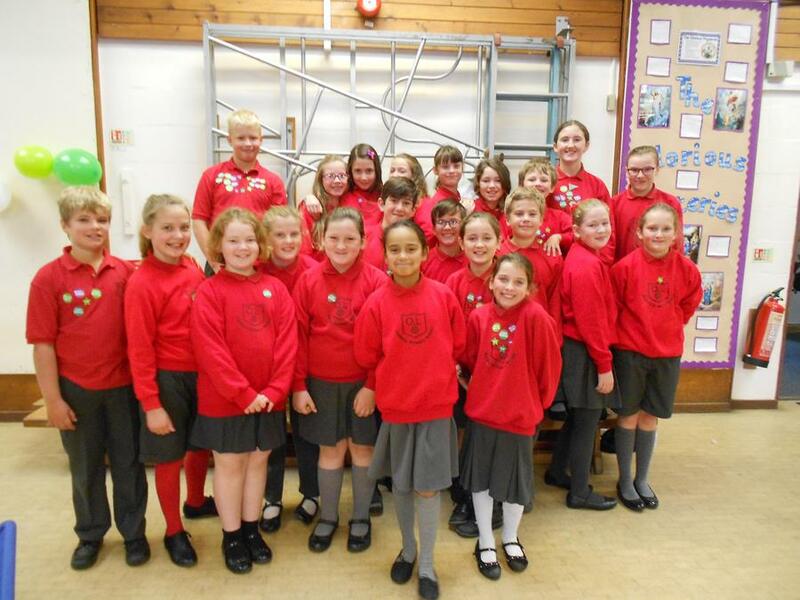 Councillor Macey announces new School Councillors, Librarians and Eco School members.